Simon has specialised exclusively in recruiting lawyers for offshore law firms since 2009, including living and working in Grand Cayman from 2009 to 2014. He read law at Cambridge University and practised briefly as an employment lawyer before switching to legal recruitment in 1996. Simon specialises in placing UK/Australian/New Zealand/Canadian admitted lawyers from major international law firms, and UK admitted chancery/commercial barristers, into major offshore law firms in the Cayman Islands, British Virgin Islands, Bermuda and the Channel Islands. He has forged strong relationships with the heads of department and senior HR personnel of all the major offshore firms and has placed numerous solicitors and barristers from NQ to Partner level at all the major offshore law firms over the last decade. 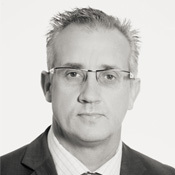 Simon can provide advice and information with regard to all aspects of an offshore move including admission criteria, remuneration, career progression, interviews, work permits, relocation and lifestyle.